Para Radio, Psychics and more! Historic Fort Wayne in Detroit, MI. ParaFest 2013 in Bethlehem, PA. Guests include. The Booth Brothers, Steve Gonsalves, Dave and Bruce Tango, Bill Bean, Rosalyn Brown, Brian Cano and many more! 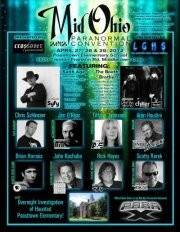 Ladies and gentlemen, The Louisville Ghost Hunters Society, Crossover Paranormal and Poasttown Elementary present the 2012 Mid-Ohio Paranormal Convention! April 27-29. Featuring Para-X Radio, John Kachuba, Chris Schlosser TAPS Academy, Scotty Rorek, Tiffany Johnson, Jim O'Rear, Aron Houdini, Rick Hayes, Keith Age and the Booth Brothers all in one place! One of Ohio's most "haunted" places, The Poasttown Elementary School. — in Middletown, OH. Use the link below to be directed to the Lower Michigan Paranormal Society's Facebook page, to view some photos of the convention. Mid South Paranormal convention was a huge success! 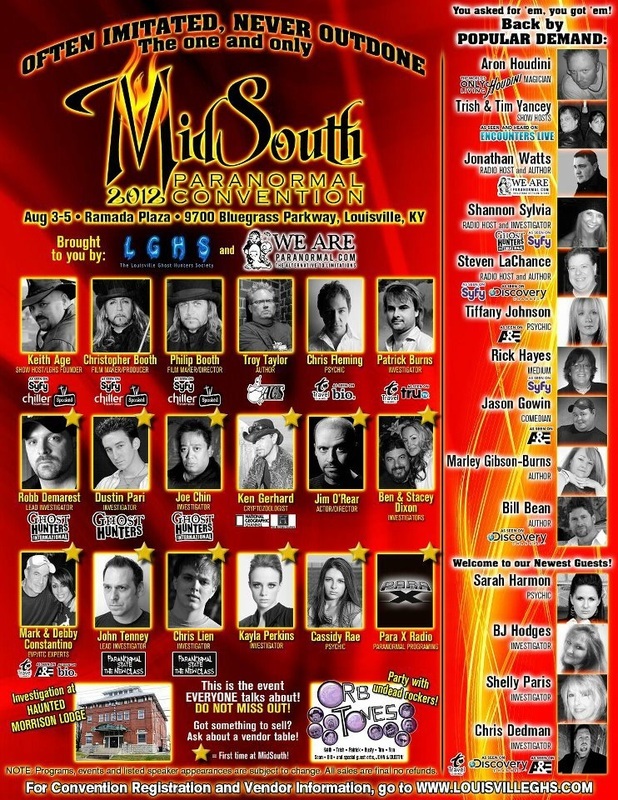 There were many Para-celebs there including, The Booth Brothers, Keith Age, Dustin Pari, Joe Chin, Robb Demarest, Chris Fleming, John Tenney, Rick Hayes, Mark and Debbie Constantino, and many more! This was the biggest paranormal event that central WI had ever seen and all for a good cause! There were big names and was tons of fun... All proceeds went to getting the First Ward School House back up and running - Paranormal Style. *Mr. Keith Age, Christopher Saint Booth, Philip Adrian Booth, Sarah Harmon, Tim Maile, Justin Libigs, Tiffany Johnson, Joe Couto and Kale Kelly. 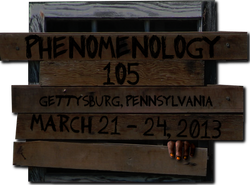 Phenomenology 105 in Gettysburg, PA. 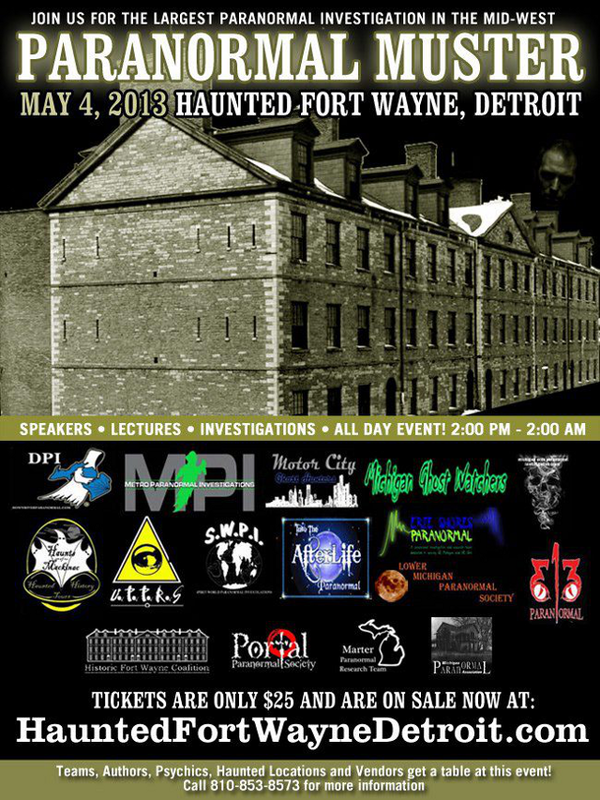 Guests include, John Zaffis, Patrick and Marley Burns, Bill Bean, Chris Flemming, Chris Dedman, Crossover Paranormal, Chip Coffey, and many more! You can stop by Facebook and "Like" the page to keep up on updates regarding the show, and stop by Fostoria Paranormal Investigations site!